Every year I experience a January slow down. The cold, snowy, dark weather makes me want to go home after school and cuddle under the electric blanket, and makes me hit the snooze button too many times than I’d like to admit. Then, spring hits and I’m generally feeling a little better except it’s so hard to stay after school and get work done when it’s absolutely gorgeous outside! I generally notice a change in the “Miss Maguire” from the first semester me to the second semester me. The day to day me also varies. If I have a good day, am excited about what happened, and am in a good mental place, I generally work long hours. I’m often there till nearly 6 pm trying to get organized or caught up. If I’m not in a good mental place, a few different things happen: 1) I may leave work pretty quickly and drown my sorrows in Mexican food and margaritas, ice cream and drive thru, or a couple servings of wine. 2) I don’t let myself leave because “There’s SO MUCH to do!” so instead I sit at my desk on Facebook for the first hour after school trying to let the day go and refocus. This generally results in me staying for about 7 minutes when I finally unplug. Or, 3) I go talk to people to destress, come in the room and get stressed out by everything that’s staring at me, and leave with the idea that I’ll do some of it at home. Guess what? None of it gets done when I walk through that door. So I’m either working all night long trying to catch up, or I leave so quickly and am so unproductive that I just grow my to-do list. It’s a bad cycle and it’s one I need to break. 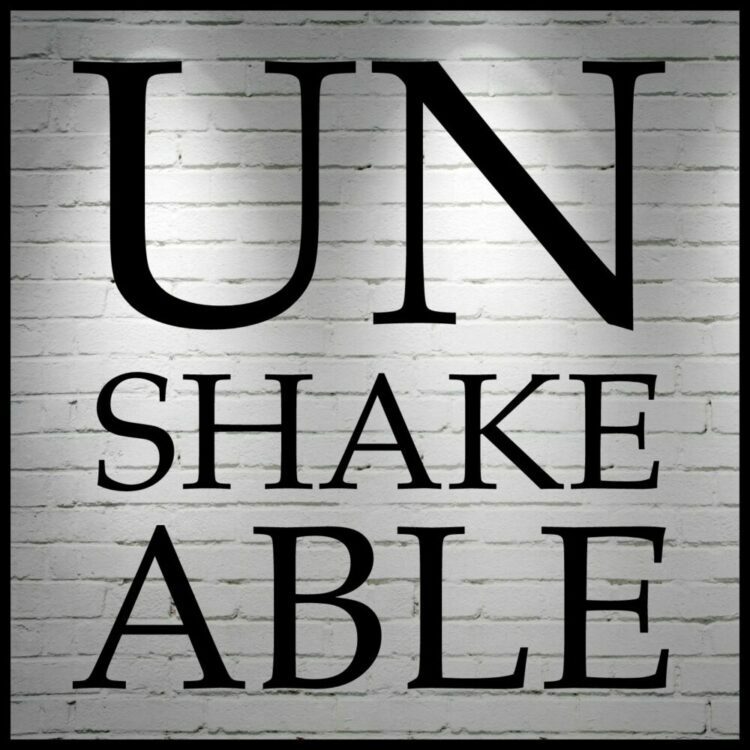 I started reading Unshakeable last weekend and it’s already provided me with so much inspiration and tangible ways I can improve my day to day! From looking at the table of contents I knew Chapter 2 was one I definitely needed to focus on and begin implementing strategies from right away. I need to up my productivity, especially knowing the sunshine will be calling my name many, many days in the coming weeks. One of the things I like most about Unshakeable, and Angela’s writing style as an author, is that she provides REAL ideas that you can easily implement into your day to day life. A couple of points that really hit home with me are detailed below. I am so guilty of having a pretty big to do list of things that I want to get done during my 30 minute lunch and recess break. I don’t get specials every day so I just count on that. We all know that 30 minutes doesn’t mean 30 minutes. And, 99.9% of the time I choose to eat. So, my to do list of calls that need to be made during business hours continues to grow. I’m also big on wanting to check my personal email, my two email accounts for the non-profit I’m in, and Facebook in case something earth shattering has happened and I might not know about it for a few hours. (#FOMO anyone?). As Angela suggests, I often then get distracted and am just a little bit off for the rest of the day as I’m thinking about whatever else is going on outside of my classroom. Instead, I need to keep myself offline and focused on work. I can spend that 10 minutes making copies, or grading a quick task, or organizing a table, or filing assessments, etc. My personal emails can wait three more hours. This also means that maybe I give myself one day a week to leaving on time, maybe a day when I have dinner plans, and make those necessary business hour calls and errands on that day. Then, I still have my evening to relax or work on anything else, but I’ve actually dwindled down my personal to-do list. This, I know. I learned this my first year teaching when I shared a room with someone I became fast friends with (hi, Kristen!) and a staff that truly became like a family. The earlier I arrived, the more I got done in the peace and quiet and calm before the storm. This time of the year I let the snooze take over and the excuses begin and I don’t utilize this time that’s so important and valuable to me in the fall. Tomorrow, tomorrow I’ll wake up with my 5:00 am. Another area Angela discusses is having a restful morning time. This is a practice I discovered myself starting in high school. I wake up slowly. It has evolved from sitting on the couch and watching an hour of news to laying in bed on Facebook catching up from the night hours and drinking my coffee while checking email. I need this hour or so to get my mind ready. I think clearly in the morning and so I’m often preparing a mental checklist for the day, running through special events, meetings, and obligations, and thinking about my lessons. It helps me focus in on the day and start slowly and confidently. This is my #1 takeaway. I often head for my desk and crash into a heap in my chair. This leads me to my computer, my work email, and then inevitably my personal email and Facebook. When I leave my desk, it’s to leave for the day. I often look around the room and realize that I did not lock up the computers I should have, my small group table is disheveled, and Sarah left her backpack at her desk. I need to hit up my two major problem areas (my two tables) first since clean up generally takes less than 10 minutes. Then, I need to move my work to one of those tables so I am not looking at my computer and sucked into it. I’m excited to begin implementing some of these strategies (and so many others that are in the book and not included here). I know my productivity will improve, and that will help bring down my stress and frustration level. I’d love to hear other tips you have on keeping productive and not getting distracted by your personal life. Leave them in the comments and I look forward to reading them. To follow along with the rest of the book study, head on over to Angela Watson’s blog and website, The Cornerstone for Teachers, by clicking the image below. Great reflections, Tessa! Sounds like we have a lot in common. 🙂 Getting up earlier is hard, but it makes SUCH a big difference for me. Your thoughts are a perfect reminder for me today. I cherish my early morning time, but often crash as soon as the kids are out the door. I also need to maximize my after school moments.